See if this applies to you or your team members in your organization: You’ve been working in your industry for several years. Your responses to requests from customers, prospects and co-workers are fast and accurate. You know your stuff and your product knowledge is one of your greatest strengths. If this is the case, then the bad news is that your extensive knowledge may also be one of your greatest weaknesses. The reason – you may be inadvertently coming across as being arrogant and insensitive. I’m not suggesting that you have a holier-than-thou attitude or that you are unfriendly. It’s just that you are so quick with your answers and recommendations that others feel like you haven’t really been listening to their needs (even though you have). In other words, the greater your expertise, the more likely it is that you are unintentionally rubbing people the wrong way. The good news is that there’s an easy way to prevent this misconception that I call The Humility Advantage ©. Working with over a hundred sales and service teams over the years, I’ve found there are at least seven key opportunities where a little employee humility pays-off substantially. 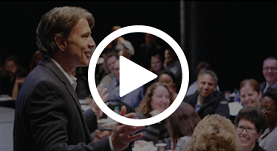 Here are three that I often share in my Influence with Ease ® speeches and seminars. Several years ago, a couple of branding consultants approached me about enlisting their services. My first thought was that these folks knew nothing about my company or my industry, so why on earth should I pay their sizable fees. I only agreed to meet with them because a colleague said they’d done good work for his firm. When I sat down with the consultants, they did not start asking me lots of questions about me and my industry. (That would have confirmed to me that they really didn’t know my business world and would have ended their chances of selling me their services). Instead, they began the meeting explaining that, by way of preparation, they’d been chatting with some of my colleagues and customers to find out their impressions of my company’s services. Then, they asked if I would like to hear the word-on-the-street. As you can imagine, that got my attention. And the ensuing conversation led me to engage their services. When you talk with potential customers, do you begin the conversation by mentioning the homework you’ve done on their company? If not, you’re missing an opportunity to let them know that you are truly interested in them. Rather than starting a sales conversation by asking about their needs, try commenting on something you saw on their website or read about them in an industry journal. It’s a powerful way to confirm to others that you’re knowledgeable without coming across as one who brags. It’s one of the first steps in applying the humility advantage. If you’ve participated as an audience member in one of my live presentations, you might have seen me step off the stage pretending to be a waiter taking food orders from several audience members as if they’re at a restaurant. During this skit, rather than order directly from a menu, each patron has a special request such as, “I’ll have the salad with the meal.”or “I’d like to have fruit instead of fries,” etc. As the waiter, I don’t write any of this down, and as you’ve likely guessed, when I walk away, the patrons assume that there is no way I’m going to get all the orders straight. There’s the problem. I may have listened accurately to each request, but the emotions I left with my customers are worry and lack of confidence in my service. As an experienced professional in your industry, you may be a great listener, but are you perceived as such? Being regarded as a poor listener is a surefire way to kill a sale or curtail your career. Fortunately, by using a little humility, this is easy to correct. In the waiter demonstration, I redo the same order-taking scenario, except the second time after taking the orders, I say, “Let me make sure I’ve got this straight. You would like yours with fruit instead of fries…” (I then confirm everyone’s special request accurately). Suddenly, the restaurant patrons feel good about the quality of my service. Here’s the key; I repeated my understanding of their needs with the phrase, “Let me make sure I’ve got this straight.” Fact is, I knew I had it straight, but the customer didn’t. The catch is, if my ego were running my life I’d never say, “Let me make sure I’ve got this straight.” Hence the Humility Advantage. You’ve probably heard the expression that people don’t like to be sold-to, but they love to buy. That means that before you present the benefits of your products or services, remember to ask for permission. When you thread all these techniques together, a sales conversation might start by pointing out the homework you’ve done on the other person. Then ask about their needs, confirming your understanding with, “Let me make sure I’ve got this straight…” Later, ask permission to present with, “Based on what you’ve told me, I do have some thoughts. Would you like to hear a couple of options that I think would fit for you?” Once the other person agrees, they’ll feel less like they are being forced, and more like they are being helped.